All the Hensmans Creative Stylist levels range from 1-8. 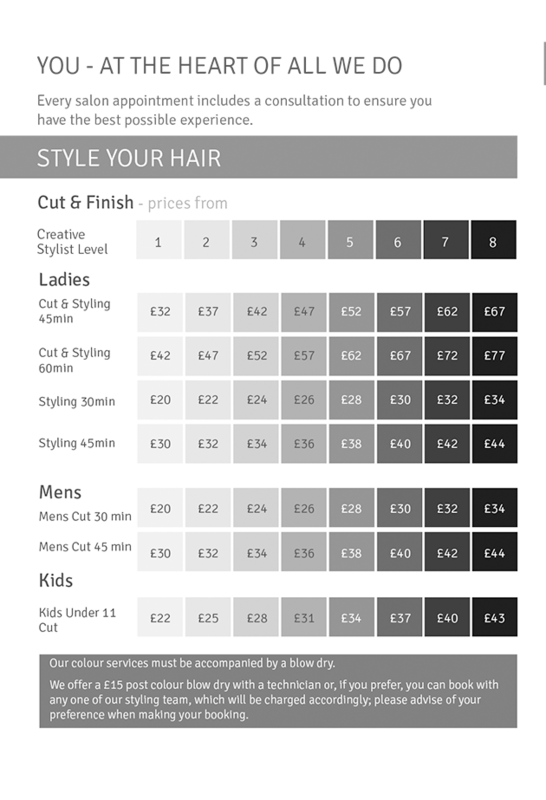 Creative stylists at level 1 are our new talent stylists who have most recently qualified and Level 8 are our most experienced stylists. 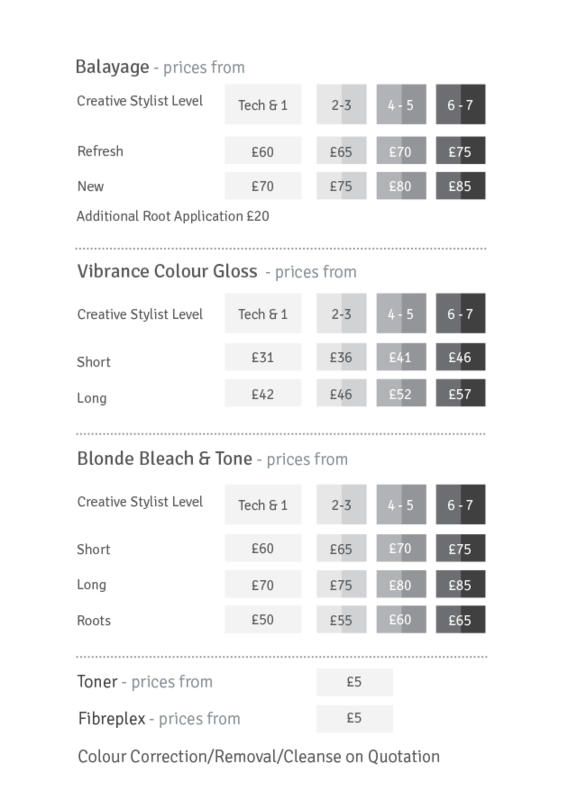 The levels of our creative stylists are based on a range of factors including their experience and industry qualifications, along with their continuing improvement and development. 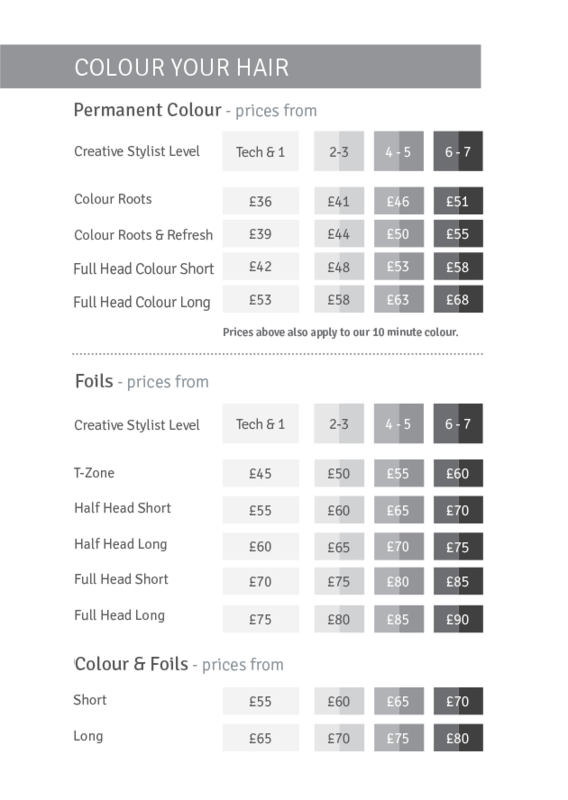 However they are all highly skilled in both cutting and colouring services and we ensure that they are always up to date with the most current hair trends, whilst also being skilled in all the classic hairdressing techniques. We provide a consultation at the beginning of each appointment to ensure you have the best possible experience. 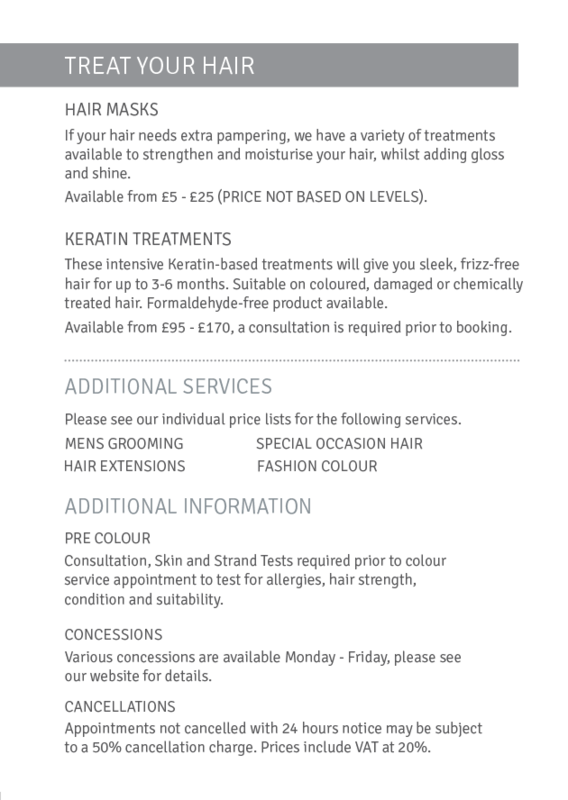 However, if you require a complete change of colour or re-style we may request that you book a consultation prior to the appointment to ensure that ample time is allocated. A skin test is also required prior to any colour services. 10% student discount* available Monday to Friday. Appointments not cancelled with 24 hours notice may be subject to a cancellation charge. Prices include VAT at 20%. * Discount applies to all students from the age of 11 in full-time education.